London law firm Howard Kennedy has undergone a significant transition in the last two years. Having successfully merged three firms over the last two years, the firm relocated from three offices in the West End to stunning new premises in 2015 at No.1 London Bridge. Howard Kennedy real estate team are one of the largest in London advising on all aspects of residential and commercial property for clients including occupiers, developers, investors and entrepreneurs. The firm have built a strong portfolio of high level London based matters handled by their residential and plot sales team. The success of this team identified a need to provide additional systems support to ensure the quality levels and client service were maintained as the department expanded. The Howard Kennedy client service team and IT set out to research both the option of a bespoke solution and to review what was available in the Legal IT sector to service the plot sales team. The firm’s current case management systems did not have the specialist support necessary to support the team and their clients. A bespoke option was identified a risk with no proven track record and due to its bespoke nature would be cost prohibitive and have a significant delay on implementation. Once the core workflows have been implemented the Howard Kennedy team are looking forward to a second phase. This will see further efficiency gains as a result of integrating the Liberate case management system with the existing Elite practice management. 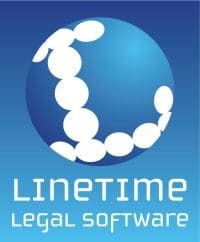 The firm’s clients will also further benefit as the second phase will see the implementation of Linetime’s client portal software allowing clients’ to access their own cases, case histories and associated documentation.